House Majority Leader Steny Hoyer, a Democrat from Maryland, told CNN there is nothing he has seen so far in special counsel Robert Mueller’s report that would change the House leadership strategy to avoid impeachment proceedings. Post: There have been increasing calls, including from some of your members, for impeachment of the president. Pelosi: I’m not for impeachment. This is news. I’m going to give you some news right now because I haven’t said this to any press person before. But since you asked, and I’ve been thinking about this: Impeachment is so divisive to the country that unless there’s something so compelling and overwhelming and bipartisan, I don’t think we should go down that path, because it divides the country. And he’s just not worth it. Following that, other members of her caucus publicly supported that position, including — surprisingly — Adam Schiff. That was mainly on the basis that the Senate wouldn’t remove Trump so it made no sense to push impeachment rather than any principled stand about negating an election. Hoyer pointedly noted that the impeach-at-any-cost caucus was surpassingly small, and by the end of last month Democrats were trying to pretend that they’d never backed impeachment in the first place. Unfortunately for Democrats, their own hyperbole undermined any real momentum toward impeachment among voters, almost certainly fatally so. Having promised collusion would be proven, the Mueller report is a massive letdown. Without collusion, the 2016 is legitimate, and if the 2016 election was legitimate, then there’s no reason to remove Trump, especially 18 months before an election. Impeaching Trump, whether or not it’s favored by the Democratic base, is not particularly popular with the general public. A CNN poll taken last month found support for impeachment was down to 36%. The ideal scenario for Democrats was that Mueller found some shocking bombshell that was unequivocal about Trump engaging in crimes. In that case, it would be easier to move public opinion, and they’d be able to rally their party around impeachment while forcing Republicans to choose between loyalty to Trump and disregarding the will of the voters. Now, that isn’t the case at all. So, right now, it appears that Democrats are going to use every opportunity, through testimony, hearings, document requests, and follow up requests, to keep alive the story without going through the process of impeachment. Democrats and the media will keep the story alive for a few more weeks. After that, if they’re smart, they’ll let the start of the 2020 primary debates eclipse Russiagate for good. 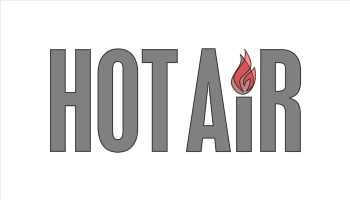 The post Hoyer: Let’s face it, impeachment is “not worthwhile” after Mueller report appeared first on Hot Air. That’s a reasonable conclusion … if one’s intending to be reasonable. Put it another way: if Trump really wanted to obstruct the investigation, he wouldn’t have tried pushing his aides into doing it for him. He would have done it himself. Especially when it became clear that even his closest aides and advisors knew better than to try it. Update: Realized I’d left out “He would have done it himself” in the paragraph after the excerpt from John Hinderaker. I’ve (belatedly) fixed that. There’s a video of the protest inside Paglia’s lecture. This clip is queued up to a few seconds before the fire alarm goes off. As you’ll see, that’s also when the protesters began shouting and shut down the lecture. As a result of these and other statements, the petition demands that Paglia be fired and replaced by “a queer person of color.” If that’s found to be impossible because of her tenure, the activists want someone else hired to teach Paglia’s classes so students aren’t exposed to any dangerous opinions. In addition, the petition demands Paglia stop being given platforms to speak and sell books on campus. In short, Paglia must be silenced as much as possible. Unfortunately, as a society we are living in a time of sharp divisions—of opinions, perspectives and beliefs—and that has led to decreased civility, increased anger and a “new normal” of offense given and taken. Across our nation it is all too common that opinions expressed that differ from another’s—especially those that are controversial—can spark passion and even outrage, often resulting in calls to suppress that speech. That simply cannot be allowed to happen. I firmly believe that limiting the range of voices in society erodes our democracy. Universities, moreover, are at the heart of the revolutionary notion of free expression: promoting the free exchange of ideas is part of the core reason for their existence. That open interchange of opinions and beliefs includes all members of the UArts community: faculty, students and staff, in and out of the classroom. We are dedicated to fostering a climate conducive to respectful intellectual debate that empowers and equips our students to meet the challenges they will face in their futures. I believe this resolve holds even greater importance at an art school. Artists over the centuries have suffered censorship, and even persecution, for the expression of their beliefs through their work. My answer is simple: not now, not at UArts. The University of the Arts is committed to the exercise of free speech and academic freedom, to addressing difficult or controversial issues and ideas through civil discussion, with respect for those who hold opinions different from our own. Supreme Court Justice Louis Brandeis’ 1927 advice still holds true today: that the remedy for messages we disagree with or dislike is more speech and not enforced silence. So add this to the list of attempts by far-left students to silence professors who threaten their safe space by speaking. Fortunately, this one has a relatively happy ending. It really makes a difference to have someone in charge who understands the concept of free speech and academic freedom. Imagine how differently things might have gone at Evergreen State College if President George Bridges had issued a statement like the one above instead of acceding to all of the students’ demands. The post Student activists tried to get Camille Paglia fired, her university said no appeared first on Hot Air. Duane “Generalissimo” Patterson brings us up to date on the week’s top stories and gives us a preview of tomorrow’s Hugh Hewitt show. Duane and I will discuss all of today’s hot stories, which right now consists of the Mueller report and … well, that’s pretty much it for the hour. At the top of the next hour, Jazz Shaw will join us to discuss the Robert Kraft charges and how the New England Patriots owner is aiming at a happy ending. Another one, that is. The post Today’s hot topics: Mueller report, collusion falls short, obstruction distort, Bob Kraft’s last resort, and more! appeared first on Hot Air. One might be tempted to say that Rep. Eric Swalwell went nuclear on Attorney General William Barr today, but he usually reserves that for gun owners. Appearing on MSNBC after the release of the Robert Mueller report, the Democratic presidential hopeful told Nicolle Wallace that Mueller proved that Donald Trump was a “double digit obstructor.” However, Swalwell’s main target was Barr for his press conference this morning, demanding the AG’s resignation. “And this president is a double-digit obstructor, according to the Mueller report, in the number of ways he sought to obstruct justice,” he added. “You’re calling for the attorney general’s resignation today after what you saw?” Wallace asked. “Yes, he’s lost the credibility of the American people, he is not recused from an investigation where he should be refused, he’s embedded deeply into the Trump team, and that affects the credibility that the attorney general must have,” Swalwell replied. Take Swalwell’s call for reality checks with more than a few grains of salt. Less than a month ago, Swalwell was still claiming that Trump was a “Russian agent,” a conclusion that Mueller debunked in his report and which was mainly a fringe conspiracy theory all along anyway. Just the fact that he’s campaigning for the Democratic presidential nomination in this cycle suggests that Swalwell has a reality problem himself. Needless to say, Barr won’t resign simply because Swalwell’s unhappy with his credibility. That’s not to argue that Barr won’t have problems with that on Capitol Hill after this morning’s performance, though. He would have been better advised to wait until after the report came out, and perhaps not to sing laments about the extraordinary circumstances Trump faced in his first two years in office as pushback to Mueller’s obstruction findings. Swalwell won’t be the last Democrat to call on Barr to hit the road. However, it seems doubtful that it will become a trend, at least in any serious way. With the Mueller probe complete, there aren’t any more potential points of conflict of interest. The issue of being “Trump’s attorney” will be moot. Congress can take up where Mueller left off if they want, a process that has nothing to do with the Department of Justice. Barr might suit Democrats better where he is — for two main reasons. First, Barr will have to come to Capitol Hill to testify on matters on a regular basis. That will provide Democrats with a handy punching bag and easy opportunities for media coverage. Barr will forever be the man who passed on Mueller’s obstruction tee-up in their eyes, and a handy scapegoat when House Democrats decide to pass on impeachment. More importantly, though, Republicans have a 53-vote majority in the Senate and no filibuster on presidential appointments. Which would they rather have as AG — a well-prepared punching bag, or someone closer to Trump and his own temperament? Regardless of how the Mueller affair ended, Barr was about as good as Democrats were going to get as AG. The post Swalwell: Barr has to resign after Mueller report and today’s presser appeared first on Hot Air. There is a little something for everyone on this year’s Time magazine’s 100 Most Influential People list. As I skimmed through the list I was struck by the inclusion of both Supreme Court Justice Brett Kavanaugh and Dr. Christine Blasey Ford. They are in different categories but both are recognized. Flashbacks to the hideous Senate confirmation hearings for Kavanaugh’s nomination quickly surfaced. In case you aren’t familiar with this annual exercise, Time magazine puts out a list of 100 most influential people it deems worthy of recognition. There are five categories separating out those honored. The first category is Pioneers and at the top of the list is actress Sandra Oh, followed by lots of others with whom I am not familiar. I noticed Chrissy Teigen, the Trump deranged model/cookbook author and Jane Walker by Johnnie Walker. The second category is Artists and that is led by Dwayne “The Rock” Johnson. Also in this category is actress Glenn Close and DIY stars Joanna and Chip Gaines. In category number three, Leaders, Nancy Pelosi lands at the top. Also on this list (the one in which I recognized the most names) are Kavanaugh, President Trump, AOC, Mitch McConnell, Xi Jinping, Benjamin Netanyahu, William Barr, Robert Mueller, and Pope Francis. Category number four is for the Icons. Taylor Swift is at the top of this one followed by Michelle Obama and Christine Blasey Ford. The fifth category is the Titans. LeBron James is first in this one followed by familiar names like Mark Zuckerberg, Tiger Woods, and Oprah’s best friend/journalist Gayle King. So, as you can see, it’s quite a mixed bag of famous and not so famous names. I have to think some Hollywood egos are bruised with the naming of Dr. Blasey Ford as the icon of the #MeToo movement instead of one of the actresses who spearheaded the movement. Plus, the original #MeToo stories unified public opinion against the abusers while Blasey Ford’s testimony to the Senate Judicial Committee was divisive and politically motivated. There is such a strong division in opinions between liberal women and conservative women over her unsubstantiated claims against Kavanaugh. As a side note, I’ll point to this week’s episode of Bravo network’s Real Housewives of Beverly Hills. Actress Lisa Rinna went on a rant during a dinner in a restaurant against Kavanaugh (the episode was filmed during the time of the Senate hearings) while Camille Grammar (ex-wife of actor Kelsey Grammar) spoke against Christine Blasey Ford. That set off a firestorm with other women chiming in against Camille. This kind of conversation still happens today. An actress speaking with a conservative voice in Beverly Hills is not something seen every day. Justice Kavanaugh was written about by Senate Majority Leader Mitch McConnell. He describes Kavanaugh as “one of the most qualified Supreme Court nominees in modern history.” He referenced Kavanaugh’s conduct during the Senate hearings. But when unhinged partisanship and special interests sought to distract the Senate from considering those qualifications, we saw other facets of Justice Kavanaugh’s character shine forth as well. The country saw his resilience and commitment to public service. We saw his loyal devotion to family and friends. We saw his undeterred reverence for the law, for precedents and for our nation’s highest traditions. Presidential candidate and Democrat Senator Kamala Harris, a member of the Senate Judicial Committee wrote about Christine Blasey Ford. Harris writes that Blasey Ford’s story “shook Washington and the country.” It’s hard to argue with that statement. Then she goes on to compliment Blasey Ford in a rather generic way. Christine Blasey Ford’s ambition wasn’t to become a household name or make it onto this list. She had a good life and a successful career—and risked everything to send a warning in a moment of grave consequence. Dr. Blasey Ford may not have set her sights on fame or recognition but she did intend to come forward to derail a Supreme Court nomination because of her own partisan political views. That is not behavior to be rewarded. Remember that Sen. Kamala Harris questioned Brett Kavanaugh and implied she had evidence that he spoke to someone at the law firm linked to President Trump about the Mueller investigation. She provided no such evidence of this charge. It was drama manufactured for the television cameras covering the hearing and it was a deliberate act to smear Kavanaugh. Her performance was shameful. The post Double whammy: Time magazine names both Kavanaugh and Blasey Ford to most influential list appeared first on Hot Air. Most of this is pretty straightforward, at least up to the point where Barr starts talking about Trump’s “unprecedented situation.” The rest of this sounds more like argument rather than evidence. Prosecutors are compelled to operate in search of truth rather than as partisans, but this sounds at least like bending over backwards to give Trump the benefit of the doubt. And, despite Wallace’s critics on line, that part does not necessarily act as a description of what Mueller found, but of the conclusions Barr and Rod Rosenstein reached. “We believe the only way to begin restoring public trust in the handling of the Special Counsel’s investigation is for Special Counsel Mueller himself to provide public testimony in the House and Senate as soon as possible. The American people deserve to hear the truth,” they said. So if Barr’s presser before the release was spin, what does that make this pre-presser press release? The rinse cycle? This is as ill-advised as Barr’s press conference. Pelosi and Schumer could have waited to see what the report said first and then issued a more grounded complaint. Instead, they’re doing exactly what they accuse Barr of doing — spinning for the sake of spinning. They could have written this press release at any time since Barr’s summary letter went out, just as Barr could have held his press conference at any time since then as well, and both should have waited until after the report release. Not that it makes much difference anyway. House Judiciary chair Jerrold Nadler wasn’t going to let Mueller off the hook, and likely neither will Lindsey Graham in the Senate counterpart. Mueller will get invited to testify to both committees (and probably the House and Senate intel committees too), even if the invitation has to get a little more formal in the guise of a subpoena. Pelosi and Schumer just want to pretend that the demand will come as a result of Barr’s presser today when Nadler has been hinting at such a demand for weeks. Nadler made it official today. But … May 23rd? JUST IN via @RebeccaRKaplan: House Judiciary Committee Chairman @RepJerryNadler asks Robert Mueller to testify to his panel by May 23. I guess that the public trust can wait five weeks. It won’t take a subpoena, though; Mueller will testify willingly. But anyone who thinks they’ll get substantially more out of him than what’s in the report is fooling themselves. Mueller’s too much of a pro at handling Capitol Hill. The post Fox’s Chris Wallace: My, but Barr sounded like Trump’s personal attorney this morning appeared first on Hot Air. It’s unclear whether the daughter in question is YouTube star Olivia Jade or her older sister Bella. But if the feds are willing to try to squeeze a guilty plea out of Ma and Pa Giannulli by threatening one daughter, presumably they’re willing to threaten the other eventually as well. Which means now’s the moment for Loughlin to put those acting chops to use, call a presser, and unleash a teary made-for-TV “you can do what you want to me but leave my girls alone, you monsters” attack on the feds. Public support will skyrocket overnight. Who knows? President Trump might even see it and shoot her a pardon, one television star to another. If anyone would appreciate a well-executed public tantrum about being persecuted by the DOJ, it’s him. “It is clear that some students are going to be charged,” the Daily Mail’s source added, claiming that they know of five other students who’ve received “letters of intent” from the feds and all five happen to be children of parents who’ve been charged but refused to plead guilty. It’s a leverage play by the Justice Department and probably an effective one: A source tells People magazine that Loughlin is understandably “very afraid that her daughters will have to testify. That will traumatize them even more.” If the prospect of her children being forced to be witnesses in her own trial is weighing on her, imagine what the prospect of them being charged will do. Although the fact that at least one of them has received a letter of intent means that daughter could and would plead the Fifth rather than testify, right? The feds are after mom and dad, not her. If it came down to it, she could presumably extract immunity from prosecutors in return for her testimony against Loughlin and her father. Which brings us back to the great unsolved mystery: Why didn’t Loughlin take the original plea deal the feds offered and spare her and her kids this ordeal? Did she really think the U.S. Attorney would back down when she refused to plead guilty knowing that many other defendants were watching, waiting to see how the feds would react? If they had offered her a sweeter deal in response, every remaining suspect in the case would have started threatening to go to trial as well. The Giannulli girls (via their allies) are fighting back in the media, insisting they “didn’t realize the extreme” lengths to which their parents went to get them into USC and that they supposedly thought the $500,000 paid to officials at USC was actually donated for “scholarships” for the crew team. I’ll defer to legal eagles on how much they needed to know about the bribe in order to be criminally implicated; according to Entertainment Tonight’s source, they were at least aware that their parents were in contact with someone who could help them get into USC. Maybe they thought their mother and father were handling this the way rich parents normally do, making a gift to a university forthrightly in the expectation that the admissions office would bear it in mind when their children applied to the school. A lingering question: Between Loughlin and her husband Mossimo, who’s the real mastermind of this plot? Presumably one of them was more gung ho than the other. “Everyone feels bad for her,” said a source to Us Weekly of Loughlin. “They think the situation was something concocted by her husband,” adding that her friends have never been big fans of his. It seems hard to believe Giannulli’s the ringleader, though, considering that when he was younger he pretended to go to USC and used the “tuition money” his parents gave him to build his (very successful) business. You would think in that case he would have been receptive to OIivia Jade’s plea to skip college and focus on her lucrative social-media “influencer” career instead. If it worked out for him, why not for her? “Lori was always very impressed when she met a parent who got their child into a prestigious school,” a family source tells PEOPLE in this week’s issue. The post Hardball: Feds now investigating Lori Loughlin’s daughter in college admissions scandal appeared first on Hot Air. The piece doesn’t identify Shapiro’s critics. One of them was Josh Marshall of Talking Points Memo. I’m not sure who suggested “Judeo-Christian” was a euphemism for “white.” In any case, the way the next sentence is written creates a connection between Shapiro and Richard Spencer. Without the descriptive clause, it reads: “Richard Spencer…spoke more plainly.” The suggestion being that Spencer, the alt-right racist, is merely spelling out what Shapiro was saying obliquely. This sort of dishonesty is supremely tiresome. If you read my book, you will find these characterizations of Richard Spencer: "racist cretin" (p. xxii) and "execrable" (p. 208). Clearly I'm a devotee of his ideology. Dumbassery of the highest order, here, @washingtonpost. Just last month the Economist labeled Shapiro “the alt-right sage without the rage.” After it was pointed out to them by Shapiro and others (including CNN’s Oliver Darcy) that this was a ridiculous description, the Economist changed the headline and the story to remove “alt-right” from the description. The post Washington Post again connects Ben Shapiro to alt-right racist Richard Spencer appeared first on Hot Air. Hey, do you remember all of the excitement over Betomania? It was all the rage for at least a week or so back in January or early February. Karen Townsend pondered the question a little while back, asking whatever happened to all the Beto excitement. At the time, she proposed that O’Rourke might run into some trouble making the transition from flavor of the week to a “regular” candidate needing to flesh out his proposals and stand out from the rest of the field. I’m sure that’s part of what we’re seeing, but this week Jack Shafer, writing at Politico, has identified another factor that may explain the missing candidate mystery. Beto’s earned media almost entirely dried up after most of the press found a new savior to fall in love with… Mayor Pete Buttigieg. The Buttigieg boom has also benefited from the stumbles of our previous political shooting star, Beto O’Rourke. Was it only weeks ago that the press began swooning for O’Rourke like a drunken conventioneer, writing about him with the same frequency it does for Buttigieg today? The things that once seemed so appealing about O’Rourke to the press—the generalities, the platitudes, the offhanded charisma, the rolled-up sleeves—seem off-putting now. The clearest sign of the press corps’ O’Rourke infatuation was its routine reference to him by his first name in its stories—something it has moved on to doing with Buttigieg. Such shameful and transparent familiarity. Having stripped the Kennedyesque Texan of his novelty, the press corps has dumped him for the Kennedyesque Hoosier like a speed-dater on the rebound from a Tinder relationship gone bad. Its transition to Buttigieg has been seamless, finding in him another candidate who speaks complete sentences, who likes the camera almost as much as it likes him, who subscribes to the usual Democratic articles of faith and scans like a lost episode of The West Wing. A bit harsh, perhaps, but it certainly has the ring of truth to it. The town hall hosts at CNN and MSNBC have been shopping around for the ideal anti-Trump weapon and not doing much to hide those efforts. Beto initially filled the bill because of his high TV Q-score and his nearly successful effort to unseat one of the conservatives they despise the most… Ted Cruz. But the longer O’Rourke spent on his back roads journey to find himself (and America, I guess), the less grist he was delivering for the media mill. It was only a matter of time before his fans in the press moved on if a better opportunity presented itself. The amount of earned media showered on Buttigieg is rapidly eclipsing the love the press corps dumped on O’Rourke and it’s paying off for him in a big way. His fundraising numbers for the first quarter were impressive, if not record-setting. The latest national poll has him slipping ahead of Beto, though not by much (yet). If he manages to keep up with this pace and doesn’t shoot himself in the foot along the way he’ll be an actual contender. But contender for what? The way things look right now, the eventual whittling down of the Democratic field will have to start some point later this year. (Probably after the Iowa straw poll.) There’s a good chance that we’re heading for a three-way race. It will likely come down to Joe Biden (assuming he gets in), Bernie Sanders and the person who is neither Sanders nor Biden. Beto is one of many hopefuls trying to land that third slot, and it will have to be somebody with more progressive bona fides than Creepy Uncle Joe, but not full-on, crazy pants socialist like Bernie. Wouldn’t it be odd if the final three standing at the end were all white men? I’m not sure what that might say about the dawning of the age of intersectionality. But there’s still one threat hanging over Mayor Pete’s future. What if the press finds a new flavor of the week they like even better? Politics can be a cruel sport at times. The post The media sprinted to support Mayor Pete… and ran over Beto in the process appeared first on Hot Air. The long wait is over. An hour ago, the special counsel’s office and the Department of Justice released the lightly redacted final report from Robert Mueller on the investigation into Russia’s interference in the 2016 election, as well as potential obstruction of justice afterward. And while it’s largely as advertised in William Barr’s summary letter, the report offers plenty of open spaces to debate Donald Trump’s behavior, especially on the latter issue. That sounds like a reference to Trump’s refusal to meet personally with investigators and clear up questions about his “intent.” It also explains why Barr went to such lengths to address that in the presser earlier today. Barr knew this was coming. I’d guess that the [redacted] name is Roger Stone, the main figure similarly situated in an indictment who hasn’t pleaded out. There are other possibilities, but Stone’s the only one who comes to mind that has been the subject of public statements by Trump. In summing up the section with the categories, Mueller acknowledges that some of these actions fall well within the purview of the president, and that many of them took place in public. Doing things in public view, however, doesn’t make them any less criminal as obstruction, Mueller points out, although it might show that they weren’t intended as such. If the judgment is “informed by the totality of the evidence,” the clear implication is that Mueller believed that Trump intended to obstruct the investigation. Expect Democrats to seize on that paragraph as they start subpoenaing everyone mentioned in the categories of potentially obstructive actions. That is very pointedly not an exoneration. It explains why Barr described the conclusions he and Rod Rosenstein reached as “disagreeing” with Mueller on obstruction. The executive summary on Russia-collusion is more straightforward. Barr’s description in his summary letter hits it pretty much on the head. Mueller found no evidence of any Americans colluding with Russian intelligence to interfere in the election, including campaign officials and workers. Mueller found evidence of a number of Russian intel efforts to penetrate the campaign, but they came to nothing — although that sounds more like good fortune, as it’s not clear the campaign was aware of those efforts. If that’s the case, then the FISA warrant may well have been sufficiently predicated, especially with the other activity that emerged well before the Christopher Steele dossier. We’ll have more as we all work through the details. Thus far, the bottom line appears to be that Russia-collusion was indeed a myth, although not without any factual basis — but there are more than a few details on obstruction which will dog the White House over the next several weeks. And when Robert Mueller testifies to Congress on obstruction, Trump and his 2020 campaign should be worried about what the special counsel will have to say. Later on in the report, the President reportedly said, “Everyone tells me if you get one of these independent counsels it ruins your presidency. It takes years and years and I won’t be able to do anything. This is the worst thing that ever happened to me.” This makes it pretty clear that President Trump didn’t mean this would end his presidency, as in he’d be forced to leave office but instead meant it would hamper his ability to get things accomplished as President. The best that can be said here is that Trump didn’t follow through and therefore didn’t obstruct anything. That was Barr’s argument this morning. I suspect it won’t be Mueller’s argument when he testifies in congressional hearings. On Monday, June 12, 2017, Christopher Ruddy, the chief executive of Newsmax Media and a longtime friend of the President’s, met at the White House with Priebus and Bannon. Ruddy recalled that they told him the President was strongly considering firing the Special Counsel and that he would do so precipitously, without vetting the decision through Administration officials. Ruddy asked Priebus if Ruddy could talk publicly about the discussion they had about the Special Counsel, and Priebus said he could. Priebus told Ruddy he hoped another blow up like the one that followed the termination of Corney did not happen. Later that day, Ruddy stated in a televised interview that the President was “considering perhaps terminating the Special Counsel” based on purported conflicts of interest. Ruddy later told another news outlet that “Trump is definitely considering” terminating the Special Counsel and “it’s not something that’s being dismissed.” Ruddy’s comments led to extensive coverage in the media that the President was considering firing the Special Counsel. Venting is not obstruction, of course. However, this episode does seem to be a modern — if much less lethal — retelling of the Thomas Becket-Henry II “will no one rid me of this turbulent priest” episode. The post Here it is: The Mueller report, collusion, and “ten episodes” of obstruction; Update: “I’m f***ed” appeared first on Hot Air. She’s not joking, but one way to dismiss the seriousness of her point is to shrug and say that Bernie’s not going back to his “strong borders” views of 10 years ago under any circumstances and Coulter knows it. She’s specifically offering a what-if which she and everyone else understands won’t come to pass, on the order of “I’ll vote for Obama once he becomes a Republican.” Even Bernie doesn’t have enough progressive goodwill stockpiled to survive a Democratic primary in 2019 if he shifted towards border hawkishness. This is a party, after all, that treats racial and ethnic identity as no less important than class identity. Sanders arguing that we need to keep poor Latinos out to protect the wages of poor Americans just won’t hack it. If nothing else, it reeks of nationalism — and since when do ambitious socialists draw the limits of the cause at national borders? The Ocasio-Cortez left doesn’t want people turned away just because their claims of persecution back home are bogus. They want them admitted essentially as a matter of right, because they’re seeking a better life. Bernie’s sterner answer at the town hall was noticed by border hawk Mickey Kaus, who tweeted about it approvingly and was then retweeted by Coulter, further evidence that she’s intrigued by his maneuvers on immigration. It would be some ideological journey for her to go from stalwart Mitt Romney fan to Chris Christie enthusiast to “In Trump We Trust” author to ridealong on Bernie Sanders’s socialist revolution in the span of less than a decade. Tell me this. Among the various arguments made by righties against illegal immigration — cultural, economic, political — one that turns up in almost every critique of comprehensive immigration reform is electoral, namely, the fear that millions of illegals will vote Democratic once they’re granted citizenship. “They come from statist systems. Give them a ballot in the U.S. and they’ll opt for statism here too, especially with Democrats promising them the sun, moon, and stars in benefits to win their votes. We’ll end up with socialism.” Now here’s Coulter claiming that the alleged nightmare scenario, socialism, is actually … just fine as a trade-off so long as it means keeping low-skilled Mexicans out. What’s left of the electoral argument against amnesty? The post Coulter: Sure, I’d vote for Bernie Sanders if he went back to his original position about protecting the border appeared first on Hot Air.